Ventilated shelter designed to protect meteorological instruments from solar radiation and precipitation. Instrument that measures the depth of water that originally fell as snow. 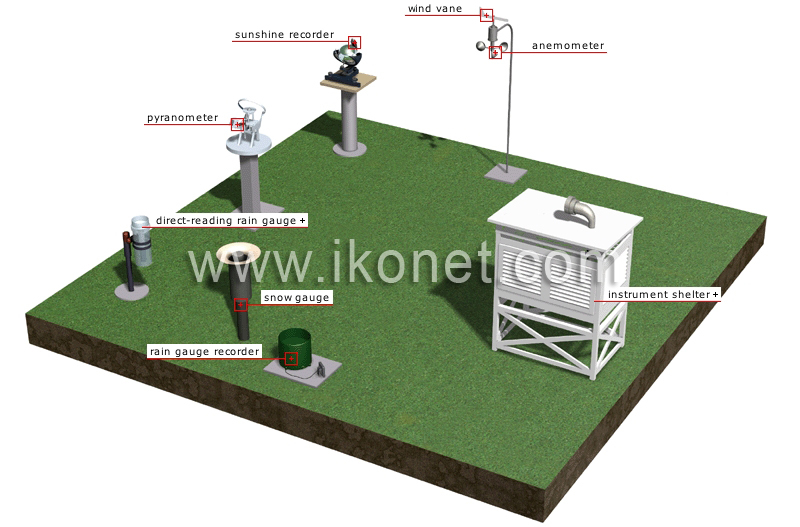 Instrument that measures rainfall; it uses a measuring tube connected to a funnel that collects rain. Instrument designed to record daily duration of sunshine.